This house was my entry into the MTS March Starter Speedbuild Challenge. I loved the design so much that I decided to share it! 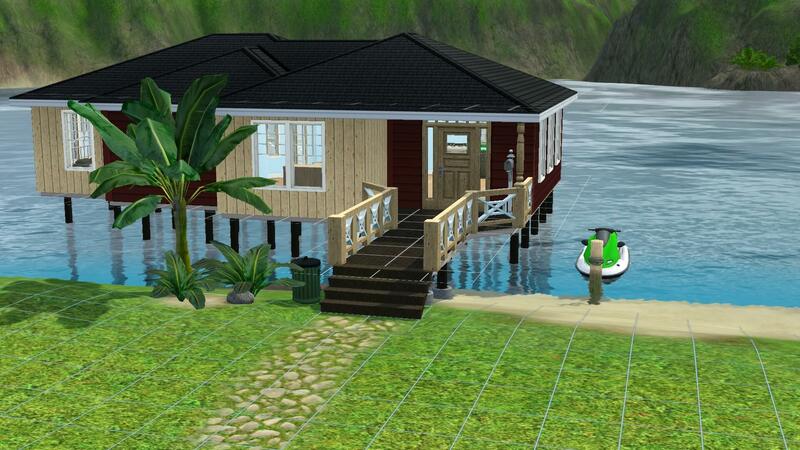 Interestingly enough, the jet ski doesn't count against the price of the house. I have to say, I love how this place turned out. It's so beautiful! As with any starter house, the building itself is sparse with the furnishings, but there's plenty of room to grow. As you can see, I used an outdoor set for the dining room. It was the only set cheap enough to allow for the landscaping out the front. When I was building the house, I thought about having the dining set outside, but it doesn't make much sense to have a dining set outside if you don't have a formal dining set next to the kitchen. I also decided that I wanted to do a galley-style kitchen. 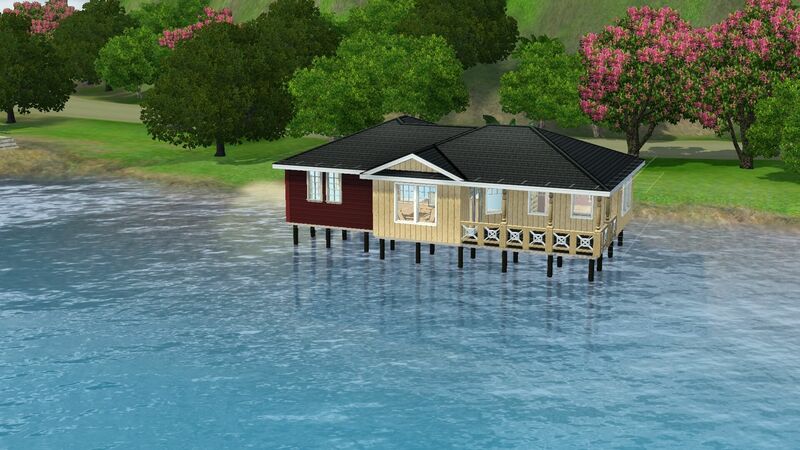 This house is built to be placed in Isla Paradiso on Shimmering Sands. 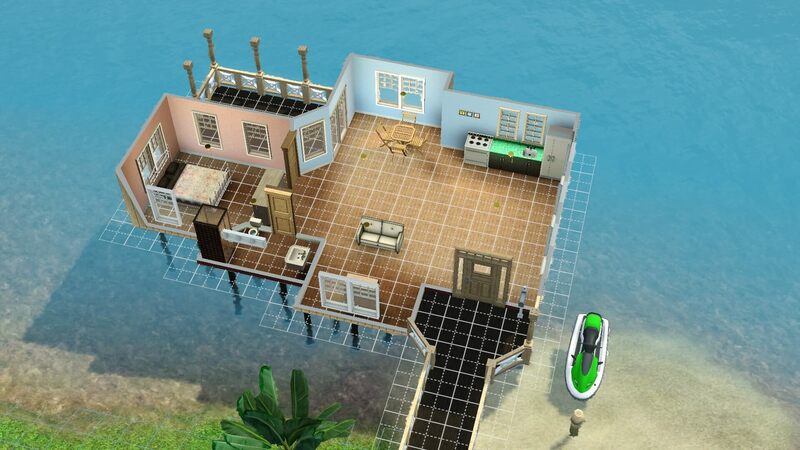 10 Beach Boulevard.zip | Description: Includes house in .sims3pack format, with custom content included.